When he learned that he would be in Riviera Nayarit, Ryan Van Duzer could not hide his happiness. “It's one of my favorite places in Mexico. The people are lovely and warm, and it’s a natural choice in my search for paradise”, said this Canadian producer for the Paradise Hunter TV show, which will air later this year in Canada. Van Duzer is no stranger to Mexico’s Pacific Treasure, as has been here before, although he had never been looking for a property worth $150,000 – which will his in compensation for presenting this reality show. Paradise Hunter is a Canadian company dedicated to finding vacation properties for sale or rent around the world for its customers. In 2011, they decided to jump-start an innovative marketing strategy: to produce a reality show, and in order to do so, last year they went looking for a presenter for this show. That year, Ryan Van Duzer was chosen from more than 700 participants from 29 countries. This time, he was making a trip to film the reality: his search for a personal paradise, a property worth $150,000 that will be given to him as a reward by the end of the 2012 season. In late January, the production crew visited Riviera Nayarit and they toured our destination looking for this personal piece of paradise. The journey through the Mexico’s Pacific Treasure took them through the entire coast of Nayarit, from Nuevo Vallarta to San Blas, and they even visited the Huichol community of Aguamilpa. “Riviera Nayarit is very popular among our customers because it offers a wide range of activities. 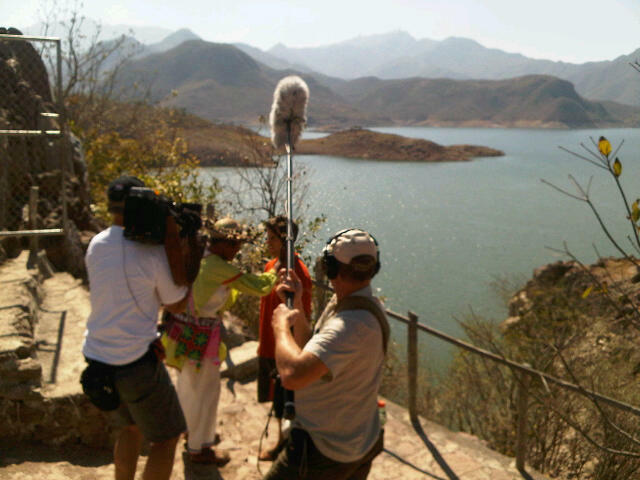 So we wanted to shoot here, trying to portray the natural beauty of this paradise. When we talked to Ryan about going to Riviera Nayarit was very happy, and now it’s a reality”, said Dennis Kambeitz, president of Paradise Hunter. The production of this reality was supported by the Convention and Visitors Bureau (CVB) of Riviera Nayarit, a Civil Nonprofit Association dedicated to promoting tourism as part of the positioning strategies of our destination. In 2011, the PR department made 34 familiarization trips like this one, involving 90 journalists. Derived from these trips, and without having to pay more, these journalists wrote articles for international publications, which generated 290,104,103 media impacts until today, while the national media created 263,238,851 media impacts. “The Convention and Visitors Bureau endorses its commitment to work intensely to achieve the objective of attracting more tourists to Mexico’s Pacific Treasure, and to distribute them along all of Nayarit in order to improve the lives of all our people”, concluded González Ortega.